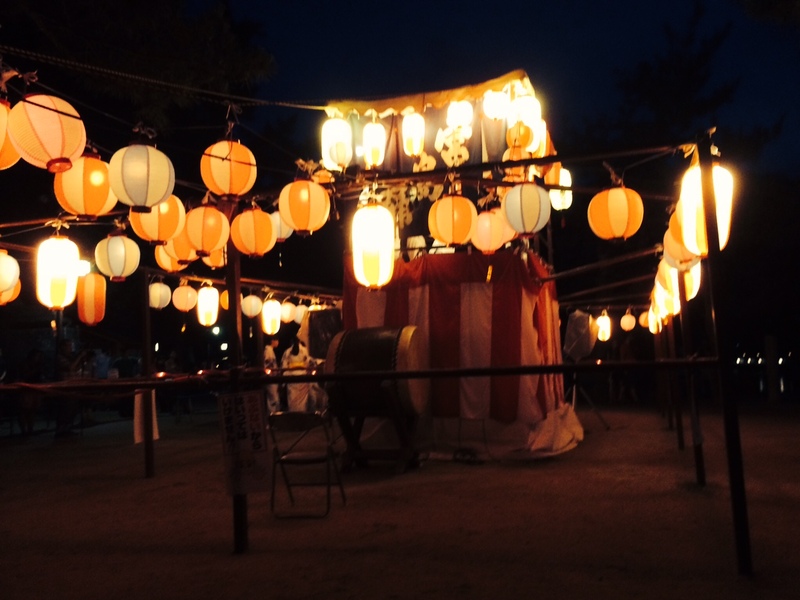 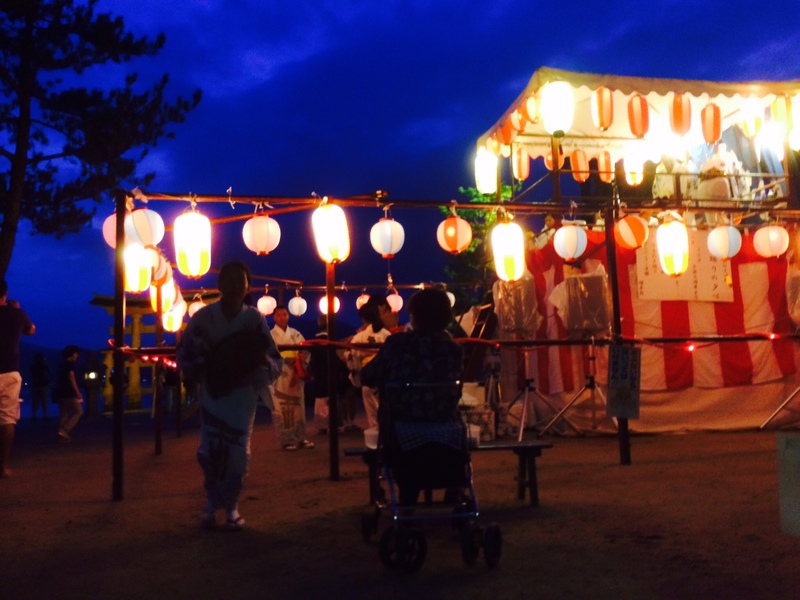 I went to Tanomosan festival yesterday. 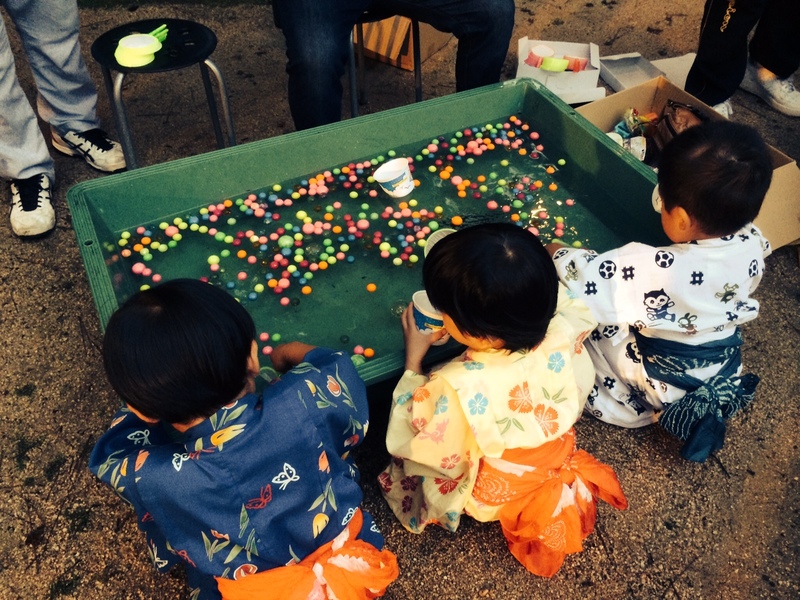 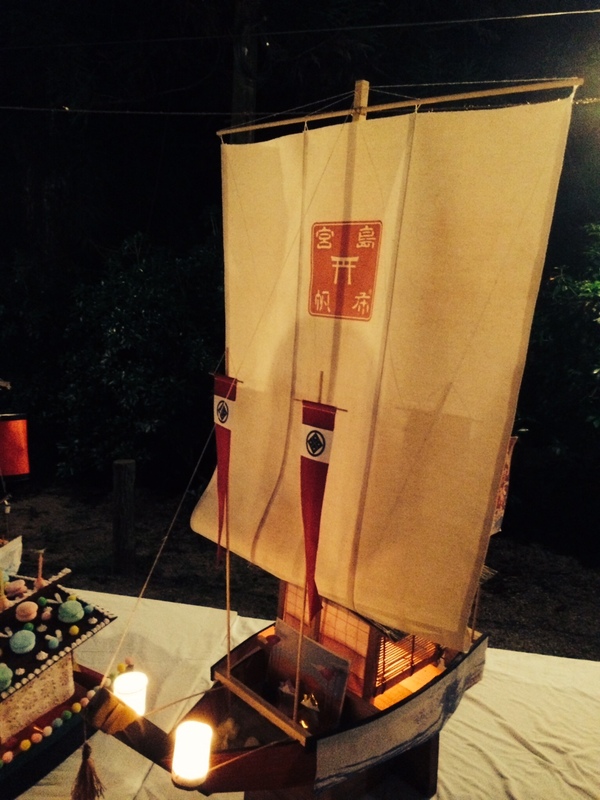 Children were so excieted to see colorful balls, food wagons and beautifully decorated boats. 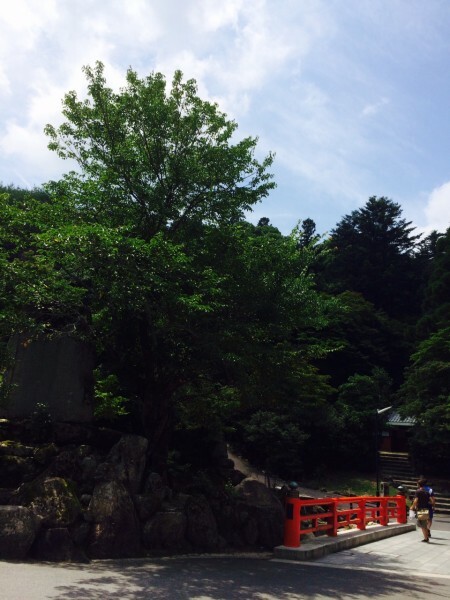 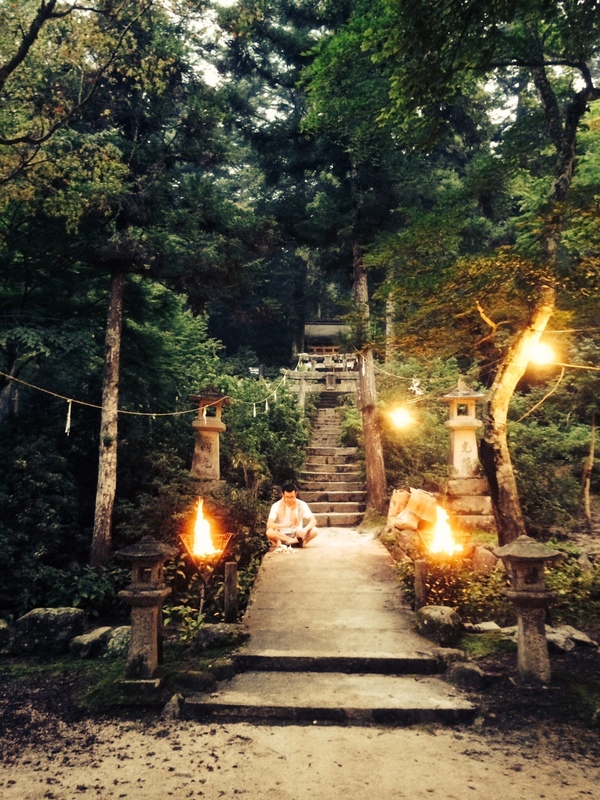 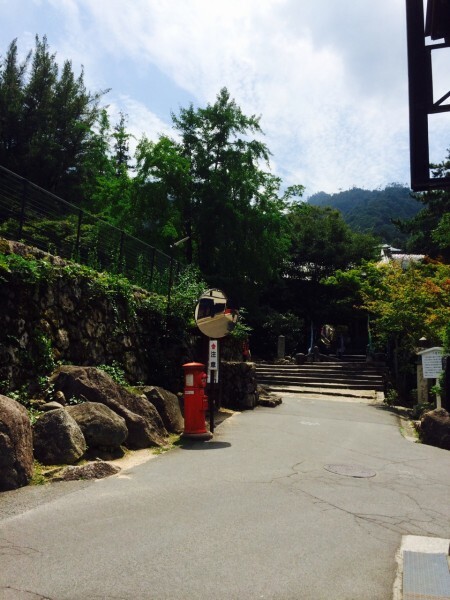 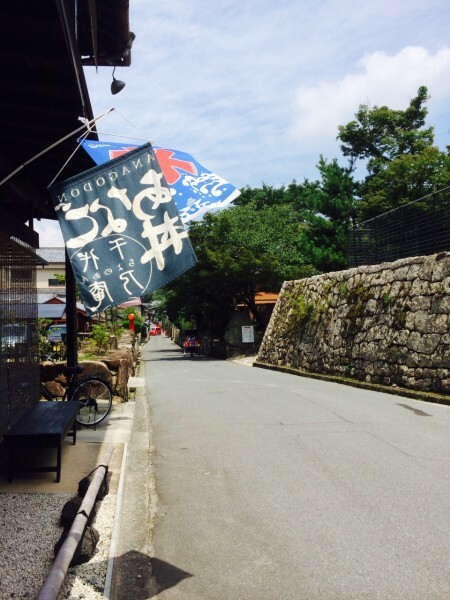 Long ago, people were prohabited to cultivate the land because Miyajima island itself was believed as Kami. 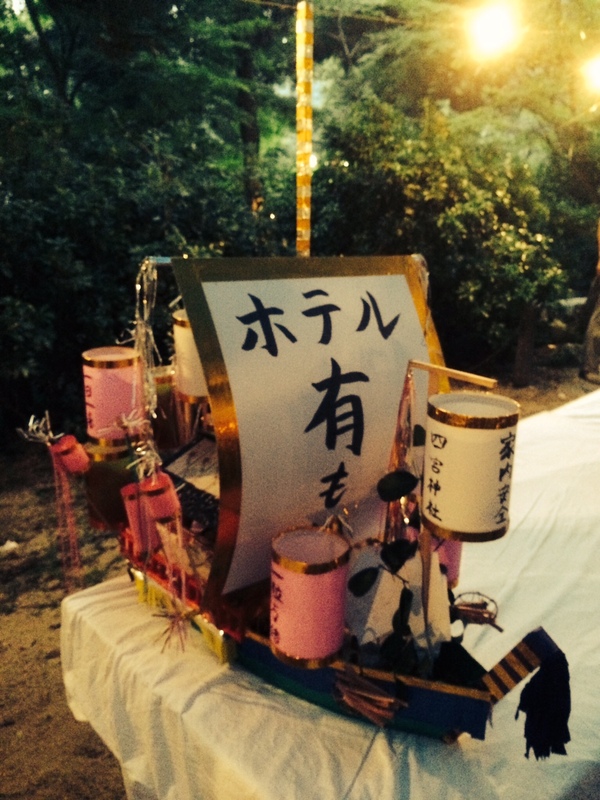 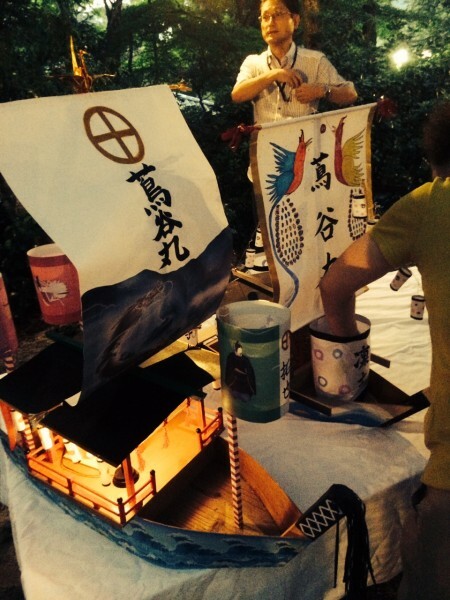 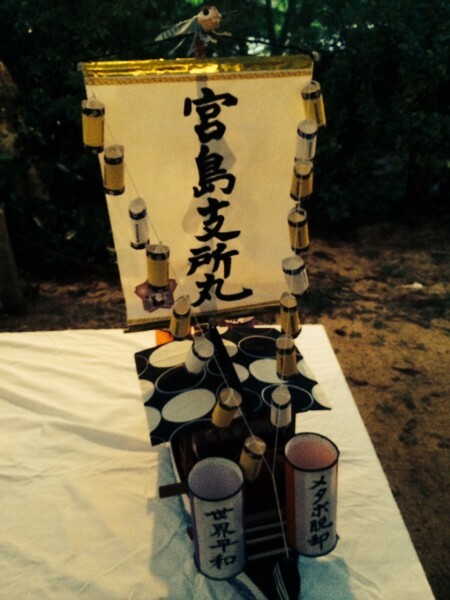 So people made small boats and put some rice cakes, fruits etc and show thier gratitude toward the mainland. 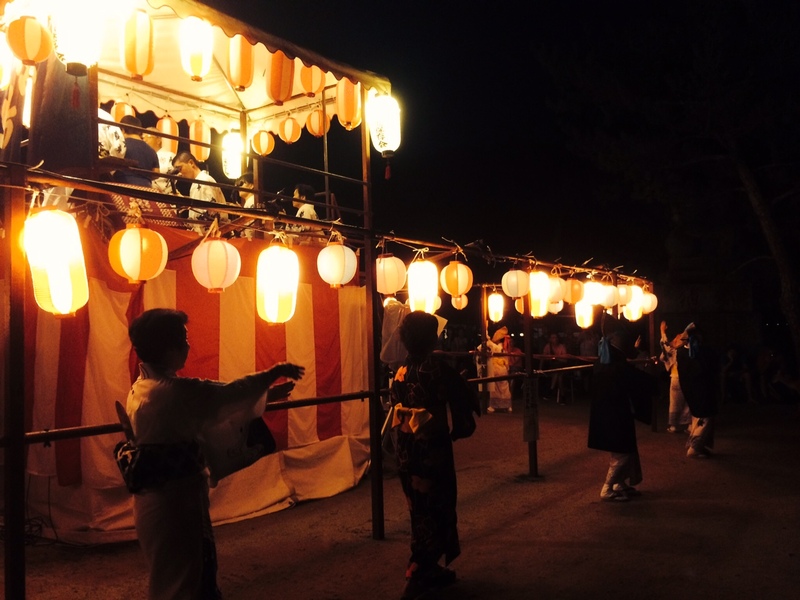 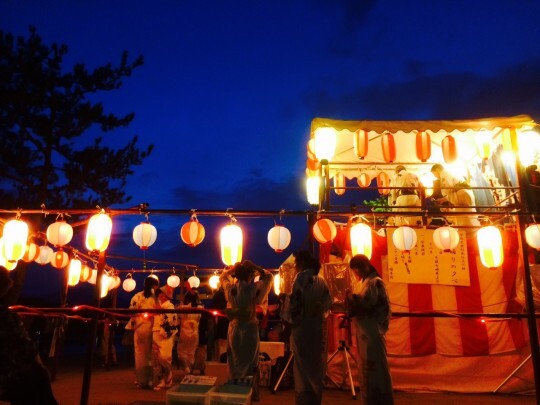 The habit became a festival called Tanomosan. 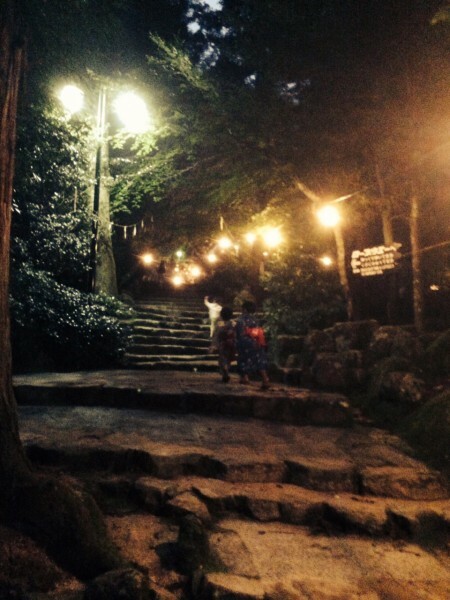 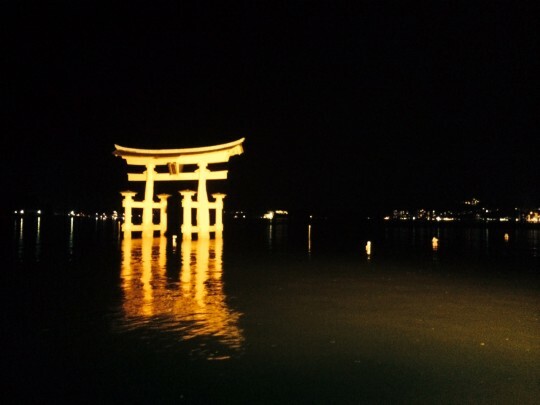 I went for a walk tonight and enjoy looking at the beautiful Miyajima Dance.